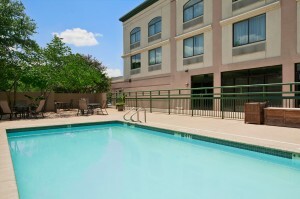 Welcome to the Wingate by Wyndham, centrally located in the heart of Round Rock, TX. With 100 beautifully appointed, modern guest rooms, an outdoor pool, and great conference and banquet facilities, our 100% smoke free hotel offers visitors and business travelers a wide array of amenities and services. Strategically located between downtown Austin and historic Williamson County, Wingate by Wyndham Round Rock is minutes away from such iconic businesses as Dell, Emerson, Teco/Westinghouse, and Samsung. With everything from professional games at Dell Diamond Stadium to youth leagues at the Round Rock Indoor Sports Center, Round Rock hosts an abundance of sporting events throughout the year. Wingate by Wyndham is the closest lodging facility to both Old Settlers Park and Dell Diamond Stadium. 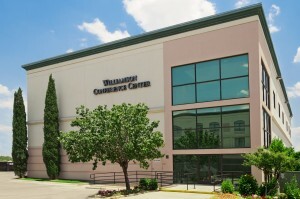 Whether business or social, large or small, Williamson Conference Center will help turn the event you envision into an outstanding experience. With 15,000 square feet of flexible space, stat-of-the-art technology, complete with powerful wireless and wired internet, and full service catering, it’s the ideal place for important business functions, wedding receptions, festive banquets, and more. And our professional, experienced staff will be at your service, attending to every little detail along the way.